The Tech Drafting Table from Studio Designs is an affordable yet practical choice for home, office, dorm room, or studio. 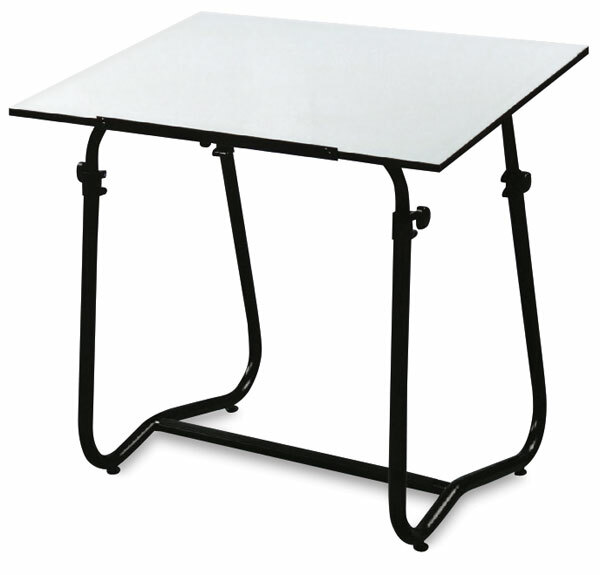 The Tech Drafting Table features a white work surface that measures 42"W × 30"D (107 cm × 76 cm), mounted on a sturdy tubular metal frame with a durable powder-coated finish. The work surface adjusts to a maximum height of 44" (112 cm) and tilts to a maximum angle of 35°. A slide-up pencil ledge keeps drawing materials in place. Convenience features include a footrest and floor levelers for stability. Some assembly is required. Weighs 47 lb (21.3 kg).